Hey guys, I know! Its been a while since i shared a post with you. I apologise for my absence and promise to not let life distract me from doing more of what i love most. Fashion is what i am most interested in. Styling outfits and making fashion pictures gets me all excited about tomorrow! If you follow me on Instagram then, you already know. Lately i have been feeling so inspired and what’s a better way express that rather than to collaborate with the most beautiful and talented Makena Mambo. She is so much fun to work with. We actually, had just met for the first time but we our vibes just connected. I was so much inspired by her way of life, she is such a creative with a very positive mindset. I cant wait to collaborate with her again, most probably very soon in Kenya. 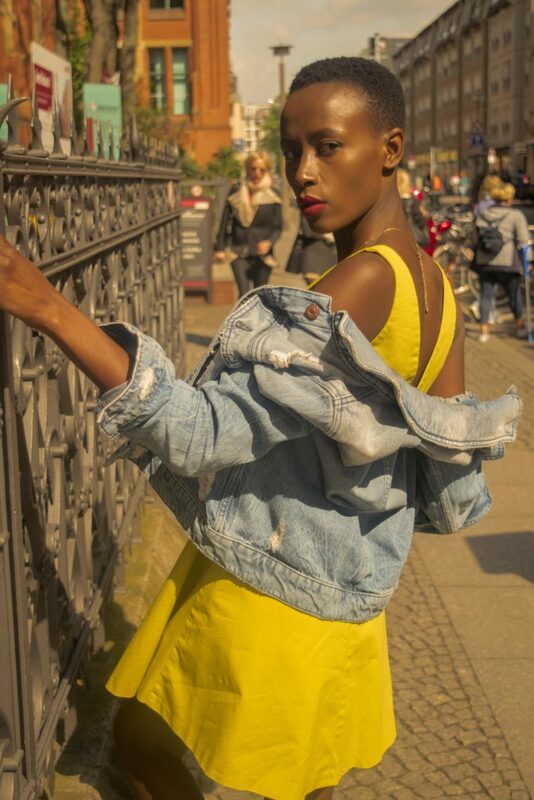 I hope you enjoy the fun colourful look that i styled and images captured by https://www.instagram.com/makenamambo on the beautiful streets of Berlin. Previous Previous post: BABY ITS COLD OUTSIDE.